Compression clothing is a specific type of clothing, which provides a fit so tight and supportive that it increases blood flow to whatever area of the body on which it is being worn, and depending on the specific piece or garment you purchase, it can be worn anywhere on the body. Compression wear is sold by a variety of retailers for a variety of reasons, from providing people with extra benefits during and after athletic exercises and activities, to alleviating certain medical conditions, to claims that they can help you lose weight – or at least look like you have. This is by far the easiest of all the compression wear related questions, because the answer is no. Compression wear, or shapewear as it is often called when discussing weight related issues, is only intended to make people look as though they are smoother, thinner, or tighter than they normally are. It is intended to be worn under tightly fitted clothing, like special occasion dresses, or it can be worn after a pregnancy or weight loss surgery, when there are still extra pounds around the middle that people want to minimize. And though shapewear is more than often marketed to women, there are entire lines of shapewear designed for men as well. But though there are some old wives’ tales which promote the use of shapewear, compression wear, or corsets for motivating and supporting weight loss goals, there is no truth to any claims that wearing or using compression wear for this purpose will pay off. This is the most highly debated of all the compression wear questions people ask, because there are some scientific studies which have been done on this question, with confusing results. Some studies have indicated that there are no benefits whatsoever to wearing compression wear during athletic activities, while other studies show that there are benefits. The University of Calgary Department of Kinesiology perhaps sums up the research done on compression wear the best, when it says there are really only 15 studies done on this particular topic, and less than half of the studies were well controlled scientific studies, meaning that, at the end of the day, there is really not enough information to support the theory that compression wear helps athletic performance at all. In fact, the only benefits compression wear seems to really provide for people participating in athletic events are placebo effects – the scientific data showed no improvement, but the participants of the studies claimed to feel better about their workout, and as anyone can tell you, feeling positive about your workout is an important part of being successful. Some studies also showed that compression wear did have a positive effect on a muscle’s ability to recover faster after a workout when compression garments were worn, though an article in the New York Times points out that these positive benefits were only felt when the garments were continuously worn for several hours after the strenuous exercises were completed, which they point out raises “delicate issues about odors,” which will be addressed a little later in this article. Alleviate the Discomfort of My Medical Condition? When it comes to providing health benefits for people suffering from specific medical conditions, this is where compression wear really seems to become a useful and perhaps even necessary part of your closet. Wikipedia even points out that some types of medical grade compression wear can only be purchased with a prescription order from a doctor. The National Library of Medicine says that compression wear is an important tool to reduce swelling in your legs, ankles, and feet, and can even be beneficial in reducing your risk of blood clots if you are recovering from surgery. They have also published a study which shows that some types of compression gloves can be beneficial for relieving arthritis pain in the hands. When considering whether to use compression wear for any medical condition or problem you are having, the first person you should speak to is your doctor. They will be able to provide you with the best possible guidance to make sure you get a garment that will truly benefit your needs. What’s the Deal with Copper? Some companies claim that copper can increase the pain relief benefits of compression wear, while other companies address the “delicate issues about odors” raised by the New York Times, saying that the infused copper is antimicrobial, and helps prevent any issues with odor. WebMD says that the belief that copper can reduce arthritis pain has been around since the 1970s, but studies done in the last twenty years have essentially disproved any association with copper and pain relief. And though actual copper surfaces have been shown to kill microbes and bacteria, copper infused fabrics haven’t really been studied very extensively, and the studies which have been done haven’t “been rigorous enough to be meaningful,” according to the Wall Street Journal. What Should I Look for When Purchasing Compression Wear? 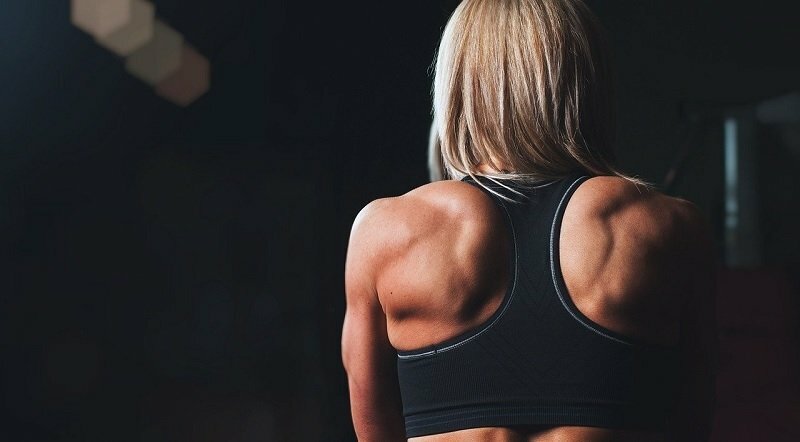 There is really one important rule to follow when considering buying compression clothing, and that is “One size does NOT fit all.” Any company that is attempting to sell you a compression wear product that comes in a single size, or comes in either “small” or “large” is probably a waste of your money. The reality is that compression wear is only effective when the compression is appropriate – items that are too tight can restrict blood flow and actually be dangerous, while items that are too loose won’t provide any benefits. You want to find a company that provides a size guide, preferably with measurements. If possible, buying your compression clothing in a store with the assistance of a sales representative is the best way to ensure the right fit, but if issues of mobility and convenience make it more reasonable to purchase these products online, you’ll want to find a company that provides not only a size guide, but a reasonable Exchange or Refund Policy which allows you to try the product for yourself and return it if it doesn’t work. Unfortunately, returning your product after it has been tried on is not always a possibility, depending on what part of the body the clothing is intended to be worn on and potential issues with hygiene, so it is important to closely read the policy included in the Terms and Conditions of the website, and not just trust a seal or a picture on a product page or sales page which guarantees a refund if you are not happy.